William Sentance was born in Eaton Leicestershire in 1881. His father was William born in Woolsthorpe Lincolnshire in 1838: his mother Frances (Fanny, nee Whitaker) was born in Eaton in 1839. In 1891, William Snr, a farm horseman, and Fanny lived on Village Street, Muston, with three sons, Arthur (17, ‘day boy on farm’), John H (14, ‘day boy on farm’) and William (9, at school). In 1901, William Jnr, 18 years old, was employed as a horseman on the farm of William Holbrook at Normanton on the Wolds, Nottinghamshire. In 1905, he married Mary Ann Geeson (27), daughter of Thomas Geeson. Then in 1911 we find William and Mary Ann Sentance in Muston living at the home of Robert Geeson, Mary Ann’s brother. They now had two daughters, Gertrude Ann and Bertha Frances. William was working as an “ironstone mineworker, soiler above ground”. Searches of WW1 military records have found only one William Sentence, who was therefore probably the man of that name from Muston. There are Medal Index Card and a Medal Index Roll entries for: Private William Sentence 9133 Machine Gun Corps, who in 1919 re-enlisted as ES/58891 Army Service Corps. He was awarded the British War Medal and the Victory Medal. No further details have been discovered. William lived at Hospital Cottages, Muston, where he was registered as a voter from 1921 to 1924. It is not certain where he lived before 1921, though it is possible that he was still in the army. He advertised twice for a housekeeper: “Housekeeper wanted by Working Man with three children – Mr W.Sentance, Muston, Bottesford, Notts.” (Grantham Journal, 7th December 1918 and 1st March 1919). These appear to indicate that his wife had died or was otherwise unable to manage the home and family. However, no record of Mary Ann Sentence’s death has been found, except for one from 1968 in the Grantham district. William Sentence died in 1925 and was buried in Muston on the 30th May. William Sentance’s brother John Henry was born in 1877 and may well have fought during WW1. However, the evidence is ambiguous, and so a shortened biographic record is included here, as an appendix. In 1901, William and Fanny Sentance, both in their sixties, together with their son John Henry, were living at Shipman’s Barn, Muston. William and John Henry both worked as farm waggoners. Their other children had all left home. There is a record that a man named John Henry Sentance got married in 1906 at Doncaster, Yorkshire. His spouse’s name was either Ethel Wainer or Eliza Ann Button (which one is unclear). It is also unclear if this record actually refers to the man from Muston. In the census of 1911, John Henry Sentance lived with his widowed mother Frances in Muston and was worked as a farm labourer. The census record does not mention his wife. In it, the Marital Status box on the census form was left blank, but we cannot be sure what significance this omission might have. 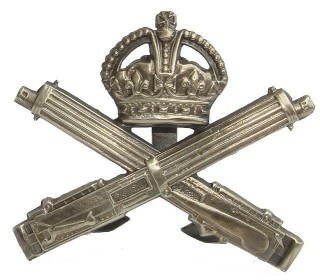 2) Private 26815 Notts and Derby (Sherwood Foresters) Regiment, then 235055 Suffolk Regiment. However, no basis has been found to determine which, if either, of these is the Muston man. After the end of the war, in 1923 and 1924, John Henry Sentance was registered as a voter living at ‘The Pebbles’, Muston. He died in 1932, and was buried at Muston on the 25th August, aged 52 years. This military record is probably correct, but there remains some uncertainty at present.